← (446)…Border-Gavaskar Trophy (1st Test)-Detrimental surface!. 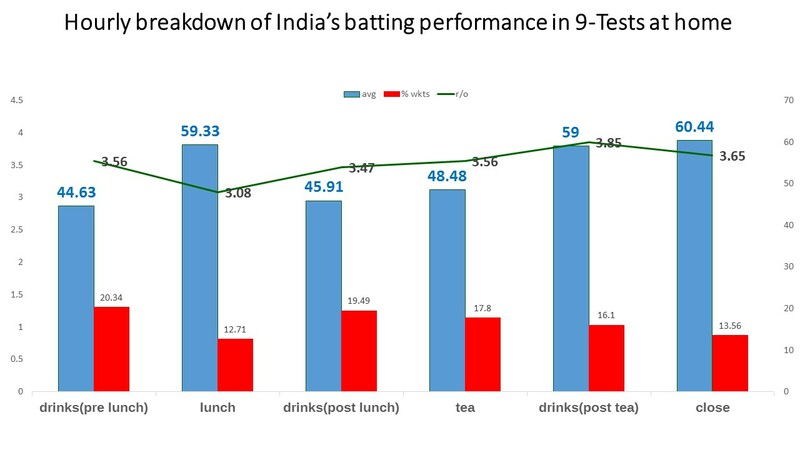 The season of 2016-17 for India has been the most busiest year as far as Test cricket is concerned. So far 9 test matches have been played of which 39 days(from 45 stipulated days) of test cricket we had. 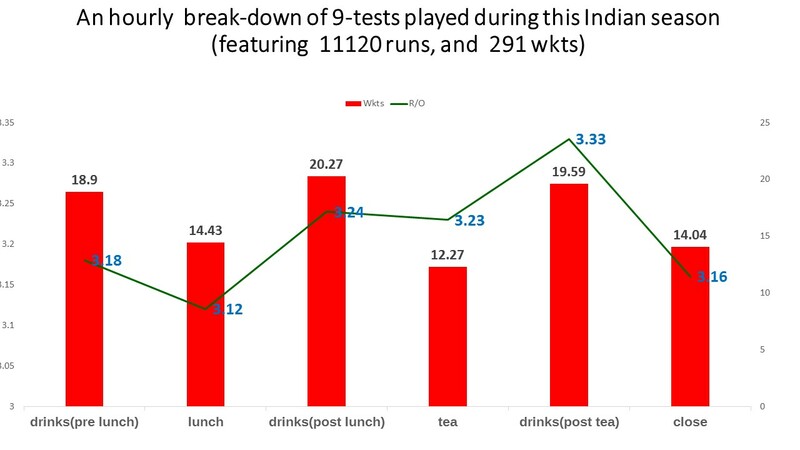 Below graphic is hourly breakdown of 9 tests played in India. In all 291 wickets fell in those 9 test matches. 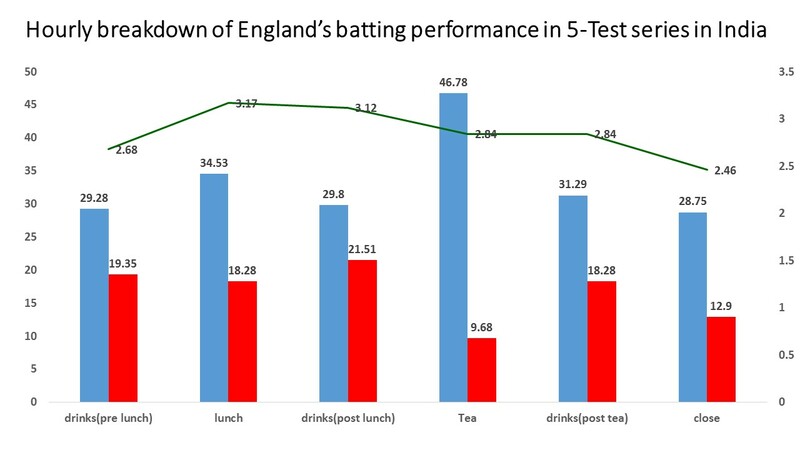 In one-hour either side of lunch and tea maximum wickets(116/291) fell and most runs(3959/11120) scored!. 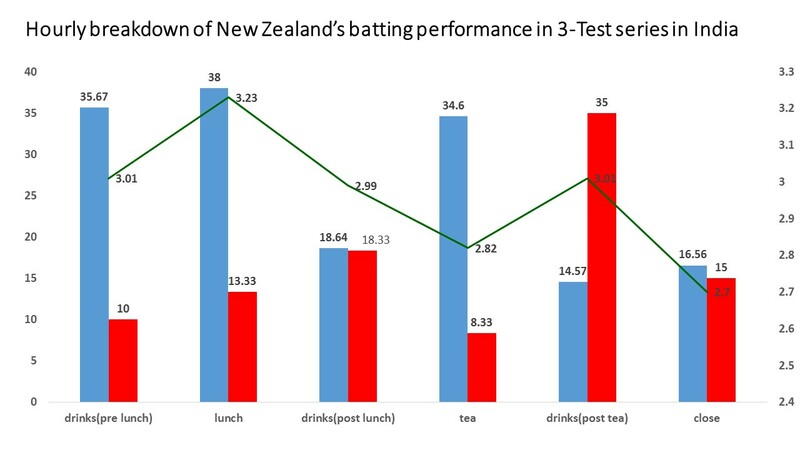 The run-rate was 3.25 and batting avg@ 34.12 runs/wkt. 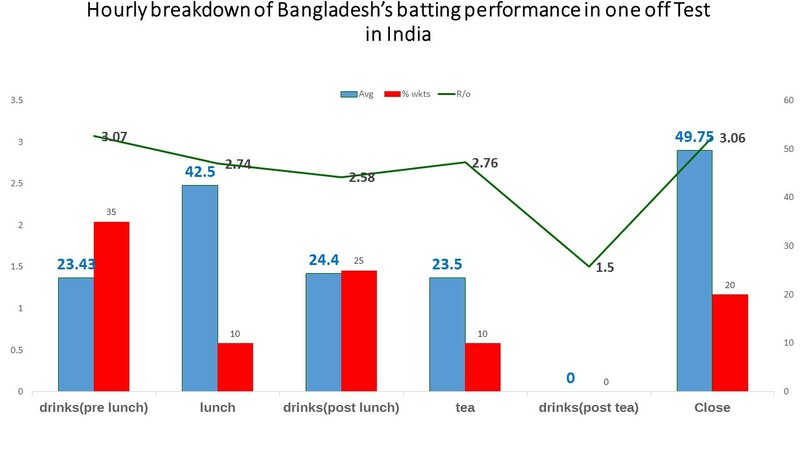 Below graphics display hourly performance (using only 3 indicators) of each team that took part in three series that was played in India(2016-17).